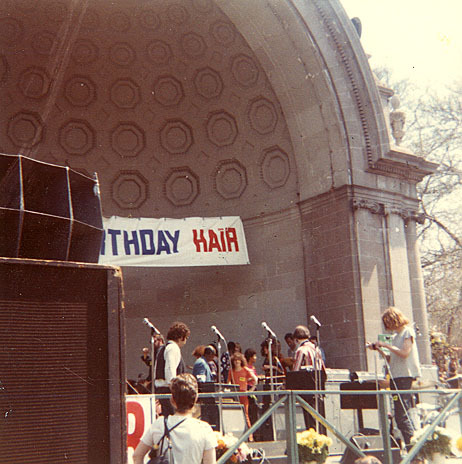 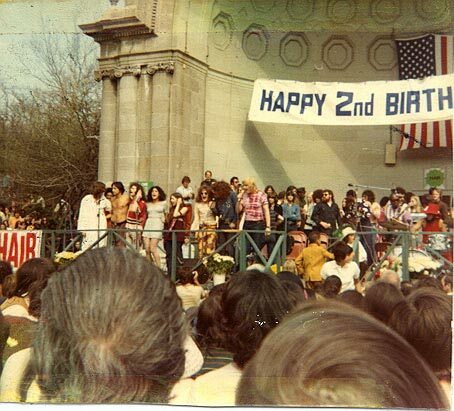 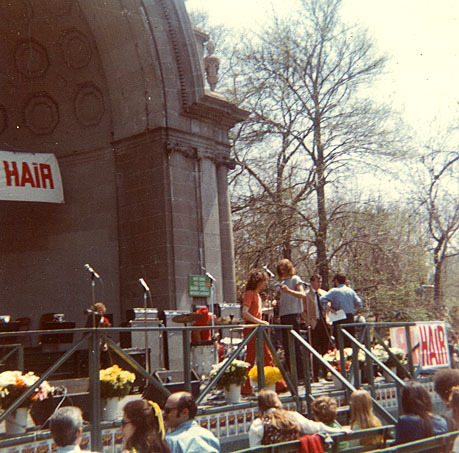 Hair's second anniversary on Broadway was celebrated with a free concert at the Bandshell in Central Park. 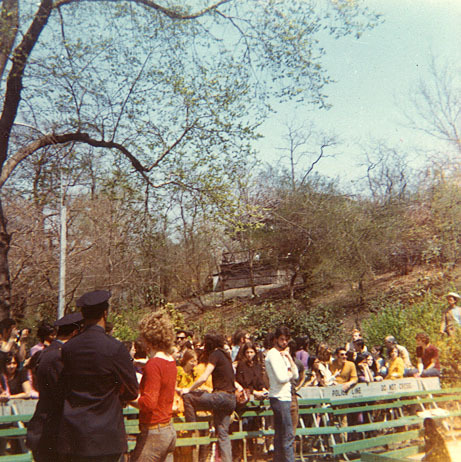 Cast members sang solo songs as well as many numbers from the show. 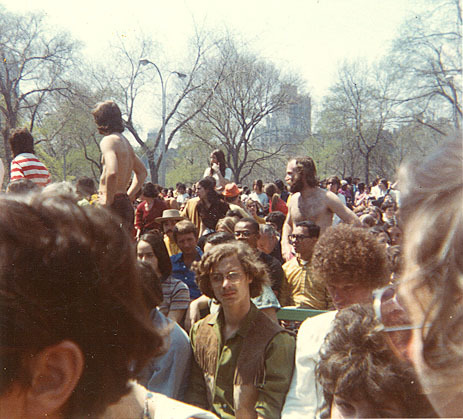 MacNamara, Gerry Ragni, James Rado. 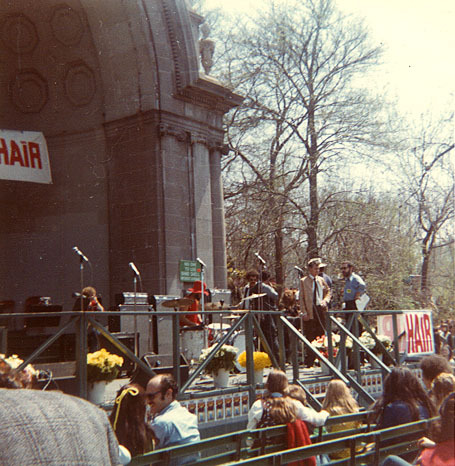 All photographs except top one copyright Robert P. Camuto.